The Grindmaster 875S Coffee Grinder comes from the company that dates back to 1933 and practically invented the electric commercial coffee grinder. The Grindmaster 875S is their most popular model and is often seen in grocery stores. 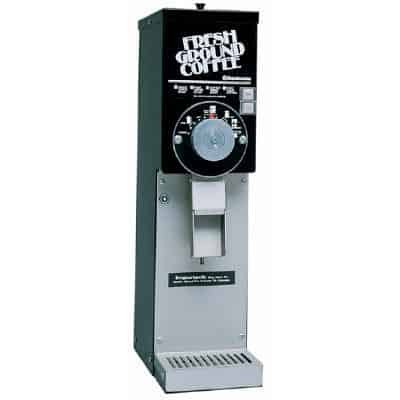 The Grindmaster 875 Coffee Grinder is considered a medium-duty, bulk coffee grinder, which means that it grinds lots of coffee at once into 12 oz. or 1 lb. coffee bags. It’s perfect for use by roasters or grocery stores. To begin the grinding process, place a coffee bag around the chute at the bottom of the grinder, choose a grind size, and press the start button. A separate stop button stops the grinding process. The 875 can hold up to 3 lbs. of whole coffee beans in the hopper under the lid on top. It can handle bag sizes from 8.25-10 inches in height. Grind sizes range from powdery Turkish grind to coarse percolator grind, and the grind size can easily be adjusted on the front dial. The heavy-duty ½ horsepower motor and cast steel burrs ensures the Grindmaster 875 Coffee Grinder will be grinding for many years. 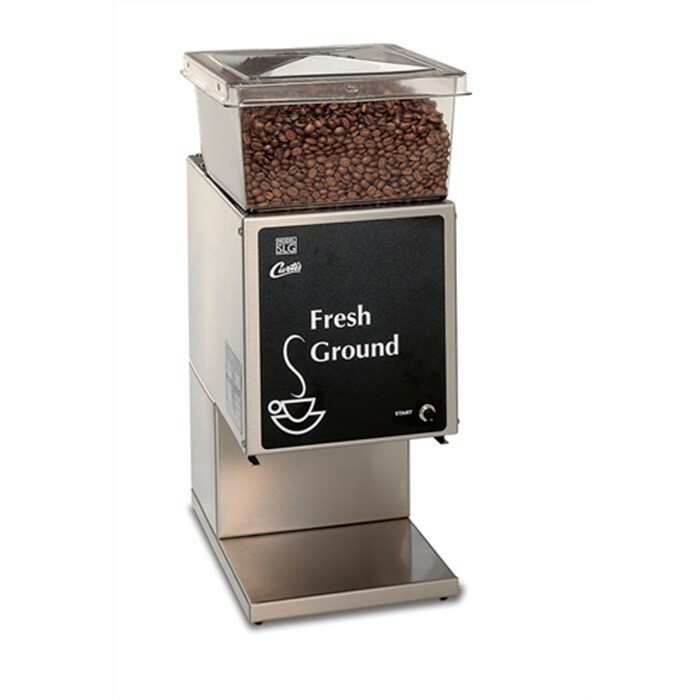 A stainless steel drip tray with a pull-out drawer catches dropped coffee grounds. Bulk grinders are not recommended for portion control uses such as grinding to brew an individual batch of coffee.